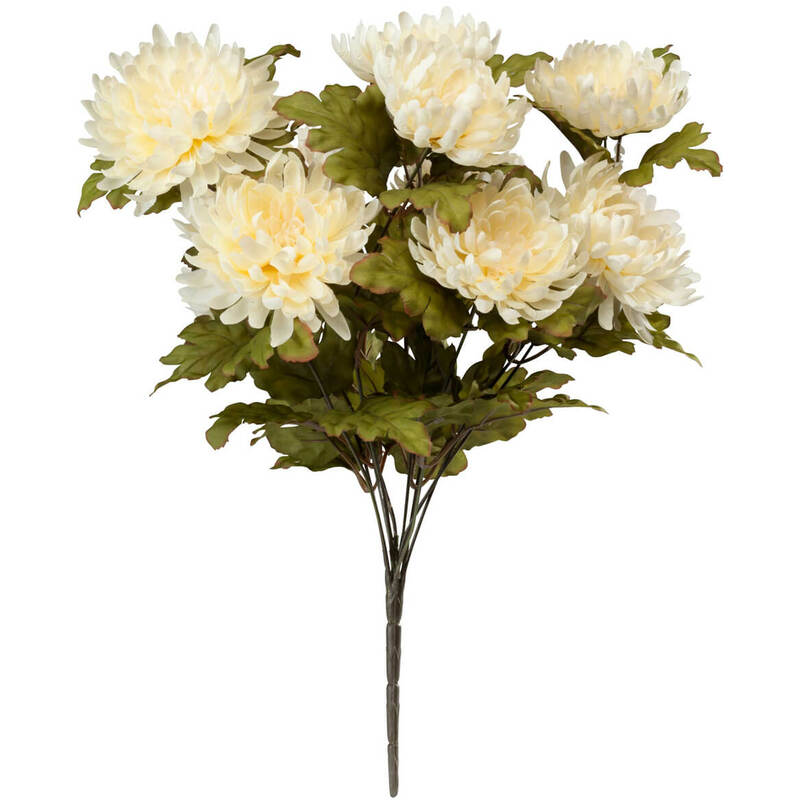 I have been purchasing OakRidge outdoor flowers for some time now. 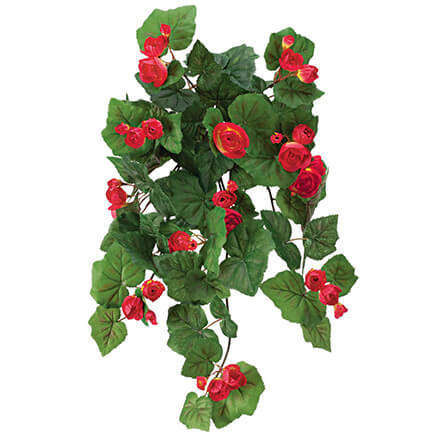 The quality is great and lends a beautiful pop of color to the surrounding areas of my home. The flowers are beautiful... I love the colors. I haven't had them long enough to know if they fade in sunlight or blow away... I put them out on my balcony and they are still fine.The spruce up my space on the balcony, so I enjoy spending summer out there very much. I just love these flowers... they look real. And they have lasted through most of the summer. I live on the 5th floor of my building and I love to sit outside on my balcony in the summer. So I fix up my balcony to make it more enjoyable. When I used to put live plants and flowers out there, the hot late afternoon sun would kill them. I am going to buy more next year, and I hope you will, too... you will LOVE them! I BOUGHT A FEW AND THOUGHT THEY WERE SO LOVELY, SO I BOUGHT MORE! Being a gardener I always get disappointed when flowers on my front porch die from too much hot sun so decided to try these. 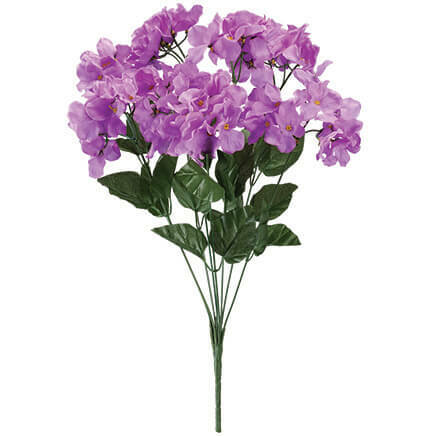 Not a fan of outside artificial flowers but the purple I ordered is so pretty it looks real especially to people walking around our neighborhood. Pleased with this purchase. Price and autumn theme for my urns. 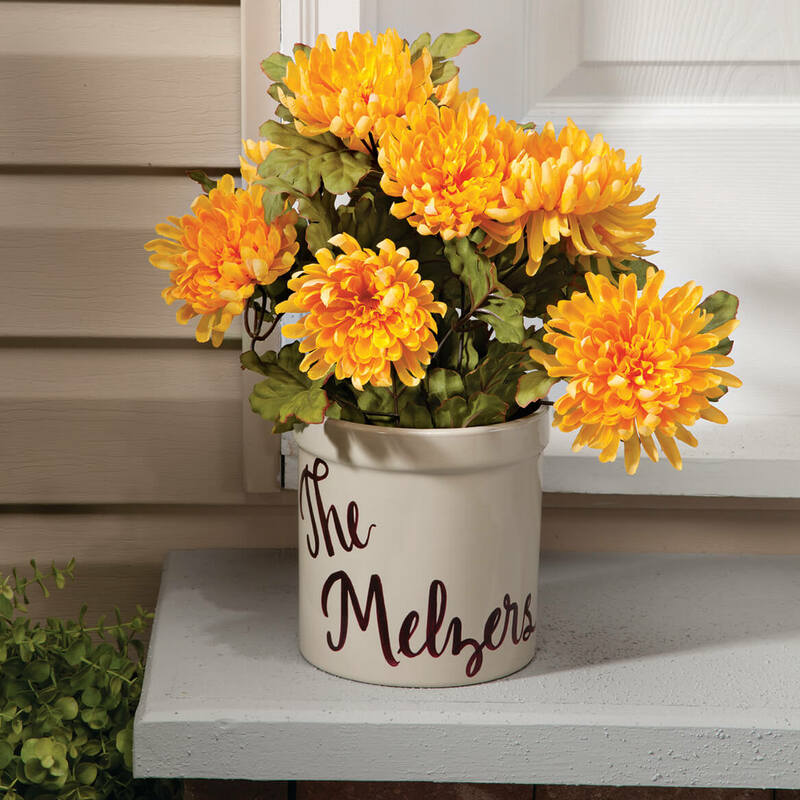 At front of house wanted a seasonal bloom of Mums. Need plants for urns in my landscaping. They are the only PLASTIC ones I could find! I like flowers but not the maintenance of them. I m hoping they look as good in person as they do in the picture. They seem to be, sight unseen, exactly what I need. Will write review after I receive them. I loved the look of them and was looking for something to fill a whisky barrel. Look to be most realistic for outdoor use. 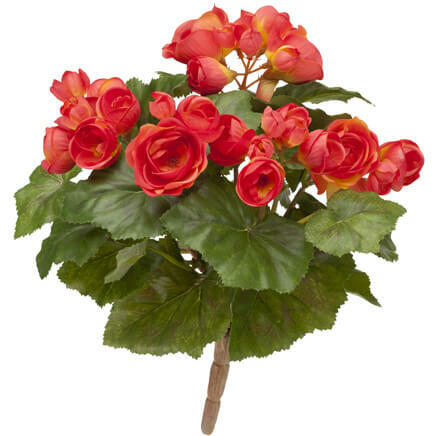 For my yard in the fall. to replace the daffodil color with deer-proof color. Every year I buy mum plants and every year they die. Going for something more sturdy this year. They look so life-like. My neighbors think they are real. Going to spruce up the front of my home with flowers I do not have to water. Used to decorate the NASCAR Hall of Fame for fall. 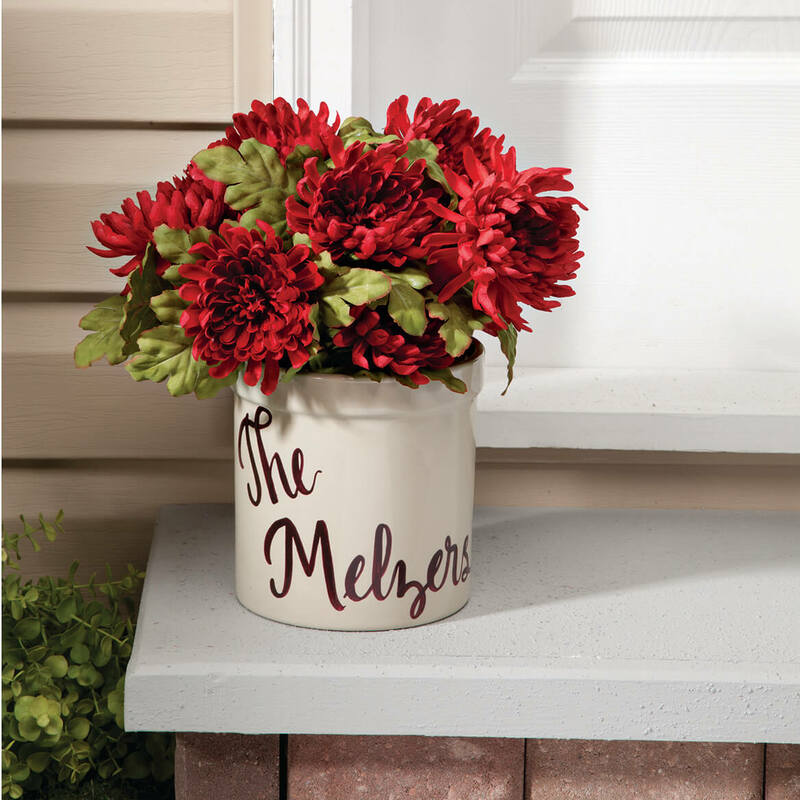 Ordered artificial mums from another catalog and they don't come close to these beautiful mums, from Miles Kimball. I purchased all 4 colors and they look so real. Very pleased with my purchase. 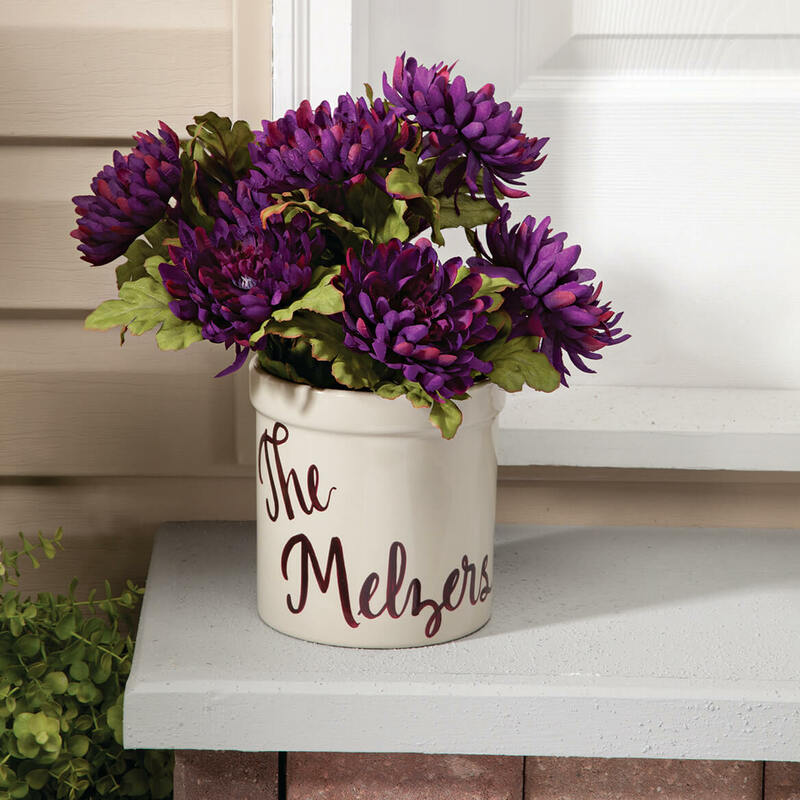 I went back on-line and purchased 4 more, purple mums. Just love them! My front porch is in direct sun for much of the day, and live plants just bake. Thought I'd give these a try! To spiff up the area by the pool. just matching color needed for another project. they look so nice in the catalog. 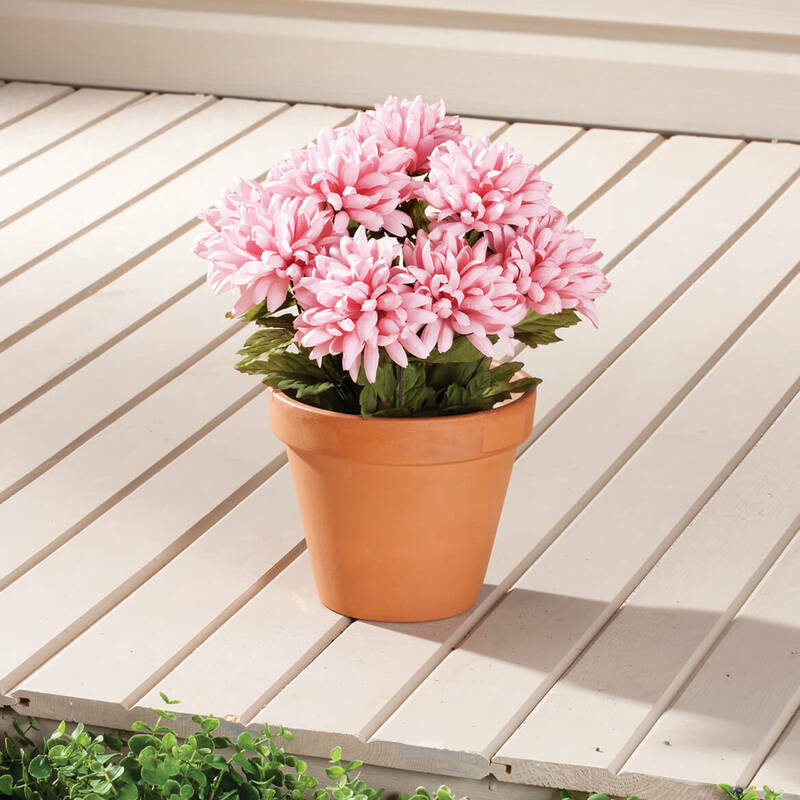 I think these are outstanding artificial mums and have ordered 156 to date to make 52 plants (groups of 3 attached to a small weight with zip ties to plant in the ground) to completely redo my landscaping areas. These flowers look beautiful and I will put them in my yard. 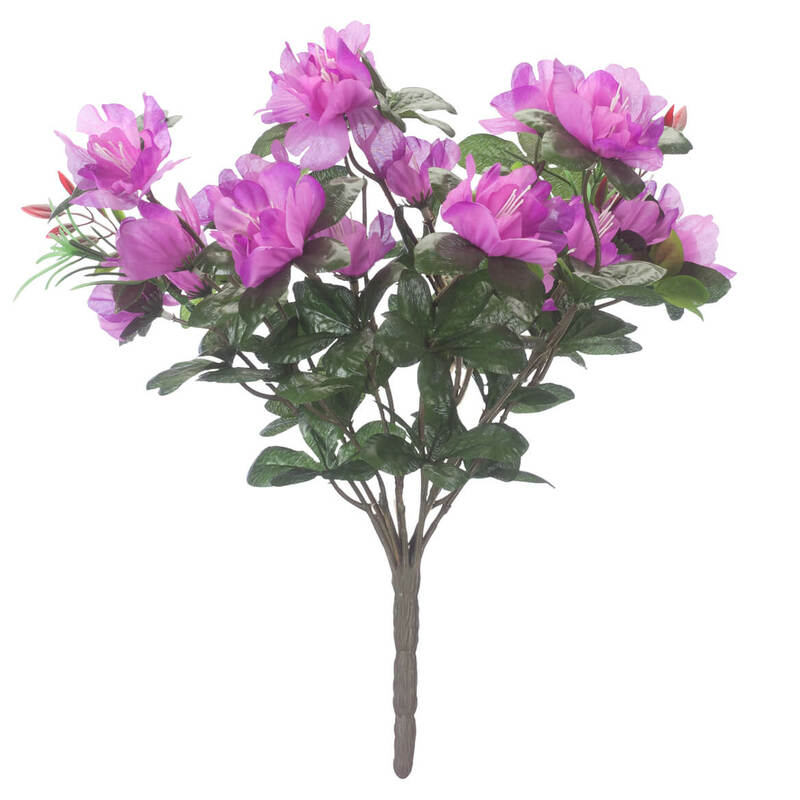 I added this to my home garden to add more flowers to existing flowers. 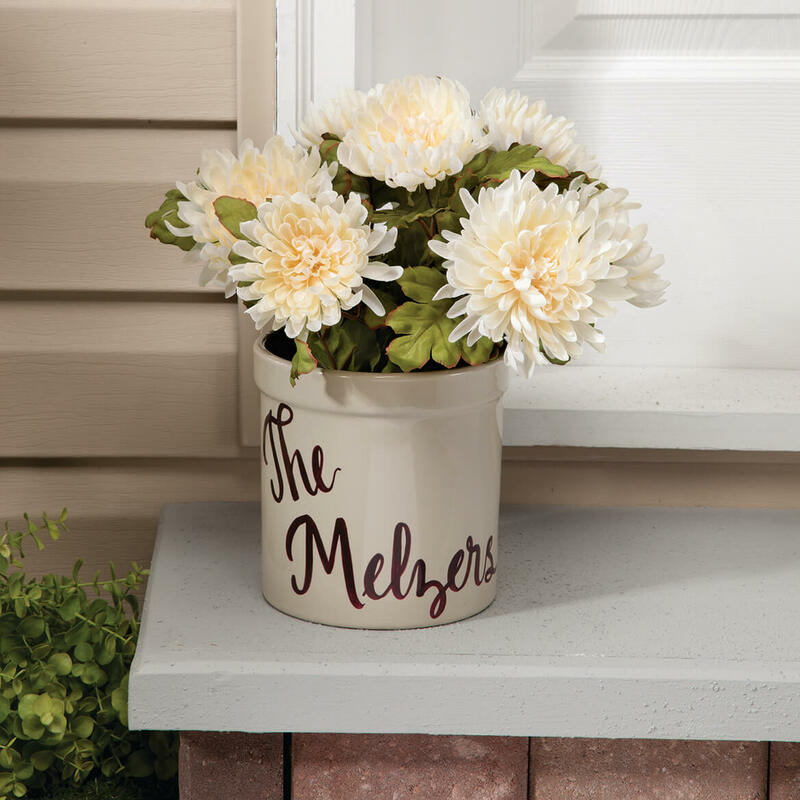 how do you keep the flowers secured in the pots? BEST ANSWER: The good news is that the mums arrive securely fastened to the inside of the pot! That makes it really handy if you wish to rearrange or fluff up the flowers. The pot itself is covered with a nicely textured burlap fabric and tied with a jute string. Very lovely! And I love the fact that the mums are full and fluffy, too! I sometimes use floral foam secured with clay. 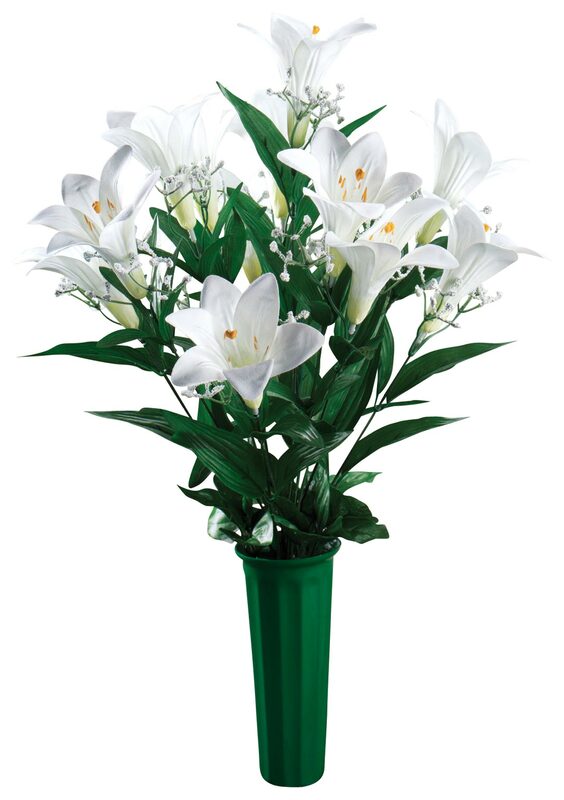 But have bent over the stems so they are the right height and thus that stabilizes them somewhat. I f they are outside , I use dirt. I I have them inside I use Styrofoam frogs. 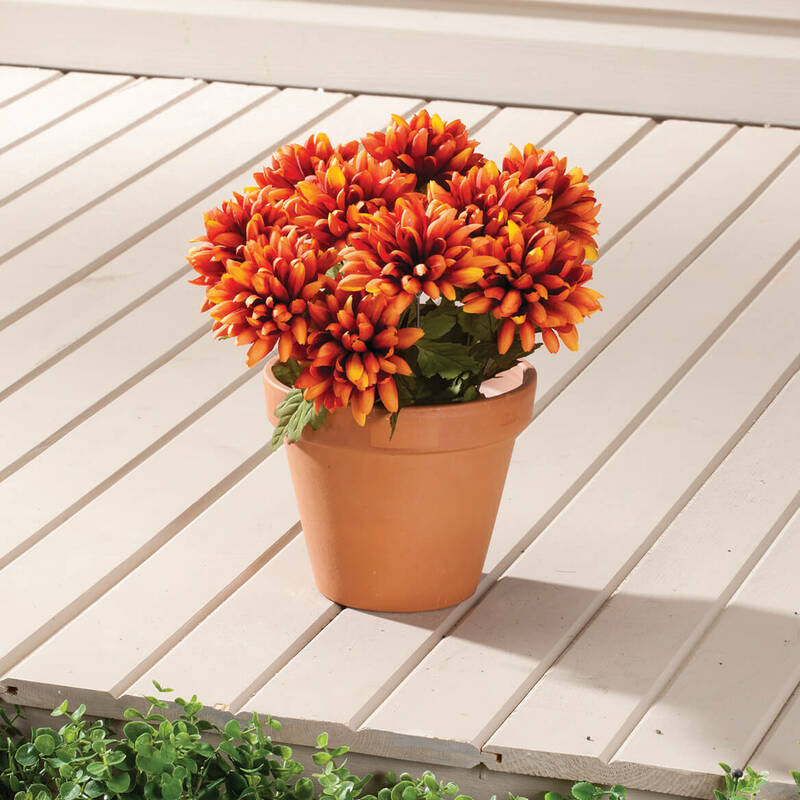 Are you getting more of the orange artificial mums in stock? BEST ANSWER: Thank you for your question. 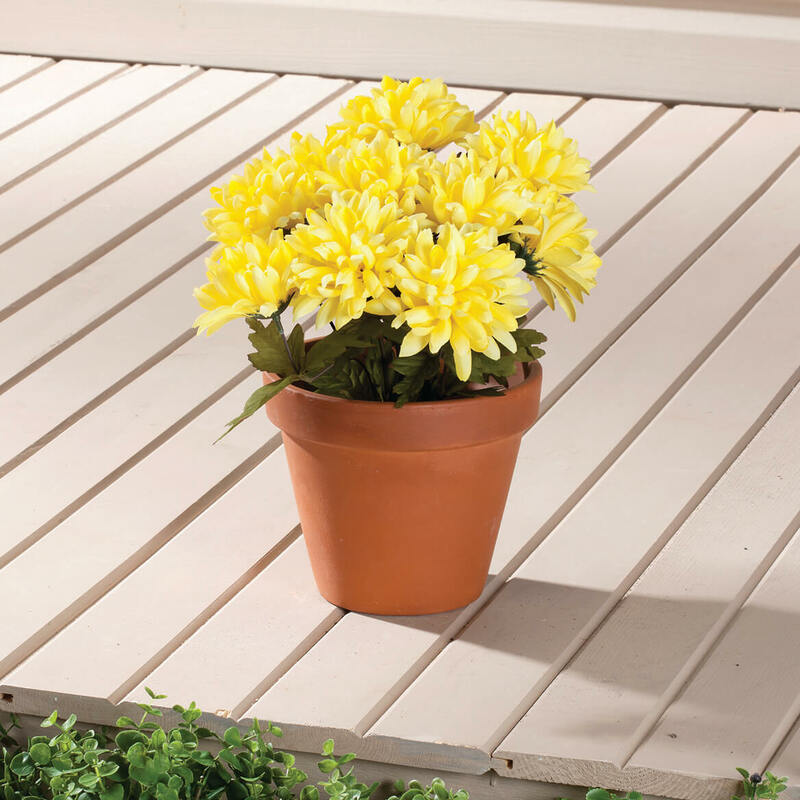 The Silk Mum Bush comes in Red, Yellow, and Cream. We hope this information will be of help to you. What color is 15 for Item #345780 ? BEST ANSWER: Thank you for your question. Color code 15 is cream. We hope this information will be of help to you. What is the size of the planter that these are photographed in?